Archbishop Hoser, the special envoy of Pope Francis to Medjugorje, reveals the backstage of his work. 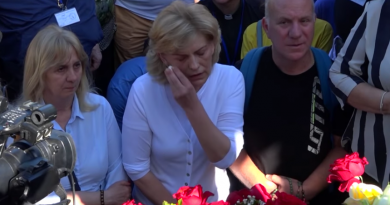 Alina Petrowa-Wasilewicz, Marcin Przeciszewski, KAI: “Gaining a profound knowledge of the situation in Medjugorje” was the mission of the Archbishop, commissioned by the Holy See. In the village where the alleged apparitions of the Virgin Mary have been preserved since 1981, the Archbishop visited the church at the turn of March and April and is currently preparing a report for the Holy See. What are the conclusions? Abp. 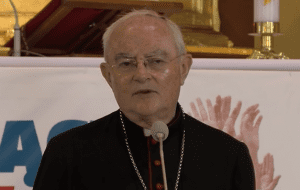 Henryk Hoser: I think that in-depth knowledge of the events in Medjugorje is not possible because we penetrate the mystery of God and the mystery of man. And these are the secrets that can not be seen. To do this, you can approach phenomena and assess the situation as widely and deeply as possible, but it will never be exhaustive. There are spiritual things, very often surprising and profound, but only the Lord knows what is in the heart of man. In total, in Bosnia and Herzegovina, I stayed two weeks because outside Medjugorje, I visited Sarajevo and the Apostolic Nuncio Archbishop. Luigi Pezzuto and I met with all the bishops of this country. And on the way back, I met Cardinal Christophem Schoenborn in Vienna. What struck the Archbishop most during his stay in Medjugorje? Knowing several other sites of the apparitions of Our Lady in the world and pilgrimage sites such as Fatima, Lourdes, Lisieux, and Czestochowa, I see the strong character of Medjugorje. It is expressed, among other ways, in the huge growth dynamics of this place and at the same time, the extraordinary creativity of the works that are there. This is not in other places. How can you describe the atmosphere of Medjugorje, spirituality? With a few simple words: prayer, silence, focus, Eucharist, adoration, fasting, Sacrament of Reconciliation. These are the strengths of this place. The people they talk to see the extraordinary atmosphere of concentration – and silence. All forms require silence. Adoration services are very well developed. Of course, there is a Marian devotion, but it is essentially Christlike. There are all the traditional devotions: the Way of the Cross, the Rosary – walking from Podbrdo, where the apparitions took place – to Kriżevac. All this topography is the natural backdrop of this place. There are touching moments when people, even the non-athletic, are kneeling on their knees on the hill of apparitions. The stones are a little polished. The focus of the place is also eliminating tourist elements. Franciscans are very aware of this point. It is purely a place of pilgrimage; no one comes to satisfy curiosity. There is a commercial aspect, but at a fairly high level, like a bookstore with very beautiful devotional items made on site. But focus and adoration dominate. The palette of options for pilgrims is very rich, with two daily pilgrimages. All receive faithful pastoral care. When looking at the pilgrims, what impression did they make on you? Everyone is very happy. When I met them, they were happy, they were very open. And there all generations are represented, there is no dominating specific age group. Young people help older people. 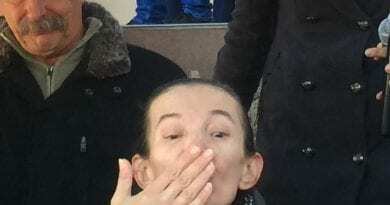 For example, young Cenacolo [Medjugorje drug rehabilitation home for young men] members bring on the specific “sediach gestatoria” [geriatric chair] to carry the disabled on Podbrdo [the hill of the apparitions]. It is not high, but you have to walk on the rocks. But there is Mt. also Kriżevac, which has a high altitude. It’s hard work. What sacramental and spiritual ministry can the pilgrims count on? What formation do they receive? As in other pilgrimage centers, there is prayer, liturgy, and the visitation of places where, according to Medjugorje history, revelations were made. On every Friday is the Way of the Cross to the mountain, Kriżevac. And the liturgy in the church in Medjugorje is arranged in a weekly cycle. Every day there is morning Mass. In the afternoon, the Rosary is recited. The evening program starts with a talk or a joint prayer. On the 18th is the main Mass followed by a prayer of thanksgiving for healing. Adoration of the Blessed Sacrament is celebrated. On Friday, the Cross is adored. In this way, Mass and Christ are always at the center of the events. There are also mass events, such as the youth festival. It takes place in July and 50-70 thousand take part in it – young people from all over the world. And since they do not fit in the church, a huge, flat amphitheater with a half-altar under the roof was built behind the church. There are several thousand seats on folding chairs. Infrastructure is thus assured, though insufficient, and the Franciscans are not allowed to expand what it is. But in addition to this, in Medjugorje, a very strong accent is placed on Christian formation through various forms of catechesis, retreats, and seminars. Twenty-two times a year, there are seminars that collect hundreds of people from dozens of countries. Franciscans organize them. They are held in the Domus Pacis retreat center built by them, and if the groups are larger, there is a building called the Aula of John Paul II. It houses several hundred people and consists of several modules so that, depending on the need, may be longer or shorter. Translation is excellent. There is a special room at the Medjugorje Radio house with 18 cabins for translation into different languages. One of them is Polish. Every translator has a screen in front of him that broadcasts celebrations from the church or other places in Medjugorje. Cameras are installed everywhere. Each translated language is broadcast on different frequencies, which pilgrims can receive in their own cells. Can an ordinary pilgrim who arrives there attend seminars? Yes. This is a standard feature of the program. Seminars are aimed at deepening the faith of pilgrims. There are also seminars for group guides that come to Medjugorje. The point is to help those who guide others grow spiritually so that pilgrims receive proper formation. Specialized seminars are also organized, such as for priests. Priests from all over the world come in early July for a week’s stay. This program consists of, among other things, visiting places of pilgrimage, participation in liturgy, thematic conferences. There are also seminars for married couples and families and for medical professionals. For two to three years, seminars have been held for people interested in pro-life. Separate seminars are designed for wounded people, those who have survived a dramatic situation, or have done something wrong and need to be healed. From what locations do people make pilgrimages to Medjugorje? The largest groups come from Italy and Poland. At present, the number of pilgrims from these countries is comparable. People come from eighty countries: North and South America, Australia and New Zealand, the Philippines. They come from all over the world. There are many pilgrims from South Korea. It must be remembered that Medjugorje has its world network. It has many centers. Peace Centers in Spain, Germany, South America. In Poland, such a center is located in Piotrków Trybunalski. They publish a bulletin in Polish. All centers run websites. They are also present on social media, Facebook, Twitter, Instagram, etc. Medjugorje is not a sanctuary, such status has not been granted to it yet. 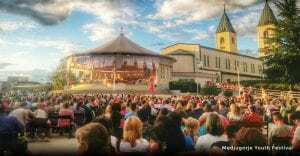 [As of February 2018, Official Church-sponsored pilgrimages can be organized for Medjugorje, making it a de-facto Marian shrine.] It is a parish, entrusted for centuries to the care of the Franciscans. There are twelve fathers, not a big band, but they work very well. I admire their commitment. There is a very good atmosphere in the religious community. In addition to the Franciscan pilgrims, the resident priests form Italy, the Pole from the Diocese of Warmia, and the English Dominicans are living there. All in all a small team. In addition, they are served by priests who come there. It is worth noting that the Franciscans focus on spiritual ministry and do not provide, for example, accommodation for pilgrims. Apart from Domus Pacis, they do not run the hotels because the local hotels, themselves, build these. The same is true in Licheau or Lourdes, which is the second hotel city in France, after Paris. Coaches are in all the streets. There are also restaurants, shops with devotional materials. 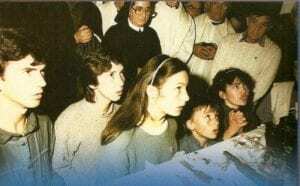 Archbishop, what is the biggest phenomenon in Medjugorje, besides of course, the supposed revelations? The phenomenon of Medjugorje is Confession. On the sides of the St. James Church are two long, specially built pavilions, in which there are fifty confessionals. They are covered, protected from heat or rain. People stand in long queues and have the opportunity to go to confession in several languages. I talked with confessors working on site. They said that it was enough to listen to confession for an hour to witness real conversions. There are a great deal of deep confessions, which are the general confessions. Often somebody confesses after dozens of years because he is touched so strongly by grace. Just one hour. Mostly Franciscans, but they also benefit from the ministry of priests who come with pilgrim groups. These priests must register in the pilgrimage office, show a validity of their priesthood, and only then will they receive the identification that authorizes them to perform liturgical activities, also to hear confessions. Another characteristic of Medjugorje is its many works of mercy. In addition to the formation dimension, the next major development in Medjugorje is charity. Over the years, there was a great charismatic Franciscan Father Slavko Barbaric. He was the volcano of energy that made all the initiatives that exist today. After a dozen or so years of activity, he died suddenly on Križevac in 2000. It [He] created, among other initiatives, Mary’s Village, composed of a whole colony of houses. There are biological or social orphans living in these homes, children with problems. These children also come from the village and the surrounding area. Permanent residents live in “nests” with two adult caretakers – volunteers. Among them are, among others, Franciscan sisters. These “nests” are furnished like normal dwellings, and the groups are small, about eight people. This provides a family atmosphere. Children have medical care, dental care, because the village has medical or psychological surgery. 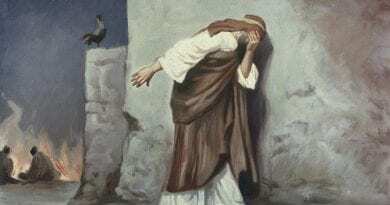 The second such place is the House of the Merciful Father, referring in its name to the parable of the Prodigal Son. Men live there after rehabilitation – drug addicts, former prisoners, alcoholics, addicts. They live according to the Benedictine principle “Ora et labora” – they learn to pray and work. There are various studio sites for devotional craft-making. I watched a tattooed man who made holes in rosary beads with a small whistle. The House of the Merciful Father also has a farm and gardens where these men work, which is important for their therapy. There are pigs on the farm because the “farmhands” are to remember the fate of the prodigal son, who landed among the pigs when he left the Father. In fact, it became a direct motive for conversion. The Franciscan Center is run by rehabilitated men. They have such a “nose” that no cheater or drug addict will get by them. There is also the Mother House of Kryspina for single mothers with children and pregnant women. Residents may stay there until they become independent. These charities are the fruit of faith in this place. In other great pilgrimage centers, such works are not on a similar scale. There are several in Lourdes – but for the sick for short stays. However, there are no centers where residents stay permanently or for a long time. In Medjugorje, spiritual communities are also born. Like mushrooms after rain. Many come from outside and implant there, for example, the Italian Cenacolo, which takes care of the young people after rehabilitation – a strange phenomenon, because tattooed skinheads behave like ministers. During the liturgy they dance, sing, are very engaged, do not get bored. There is the French Community of the Beatitudes. 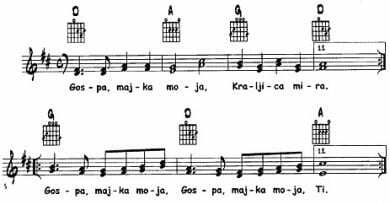 It has an international composition: Italians, French, Austrians, with twelve people. They have a beautiful house with two chapels. They work internationally, one of the sisters who writes books is published all over the world. In total, there are about thirty groups and communities there. I was not able to reach everyone. Among them are some that are quite new and began to hatch in Medjugorje. One of them has an ecumenical attitude, oriented to the East, to the Ukraine. It is headed by a Ukrainian Catholic, a Roman rite. They seek and discern their way. I had discussions with all the superiors of the communities I visited. And how, in Medjugorje, is the matter of healing apparent? There is daily prayer for healing. Healing is not unusual. In Medjugorje healing takes place, and its documentation is stored in a professionally maintained local archive. Medical documentation of each case is collected there, just like in Lourdes or other sanctuaries with a longer tradition. 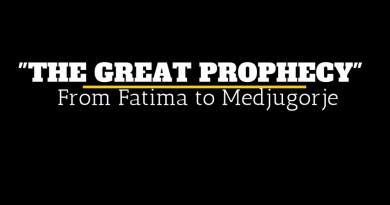 If you think of the words of the Lord Jesus, “By their fruits, you shall know them,” can there only be one conclusion regarding the phenomenon of Medjugorje? There is a very spiritual atmosphere [in Medjugorje]. And new initiatives, such as the annual March of Peace have begun, which initiated during the Balkan war in the nineties. They are eleven kilometers from Medjgorje in Humak, where there is also a Franciscan monastery. They pray for peace and want to pass this prayer to the whole world. Our Lady revealed herself as the Queen of Peace, and this march began at the time of the war. At that time, [Fr. Slavko] Barbaric took care of war orphans. Archbishop, you stress the strong Christocentrism around which the pastoral ministry in Medjugorje is concentrated. You say there are no problems with orthodoxy, but there are tensions and difficult relations between the Franciscans and the local bishop. Yes, there are some problems of a canonical-administrative nature, but in my opinion, they are solvable. On the other hand, I did not research the content of the apparitions because it is not my role. But I can see that there are basically no doctrinal errors in their content. It is true that people often say that they [Mary’s Medjugorje messages] are strangely expressive. But they are people who do not have a theological formation, so they express themselves as they feel and can. Looking at the Marian apparitions in other parts of the world, we find the same: none of the visionaries had a theological education. Bernadette of Lourdes could not even write. . . the children of Fatima: Lucia, Jacinta, and Francisco. Lucy received only a solid formation from her order later. She could publish, and like those of Medjugorje, she has had lifelong revelations. Medjugorje seers have still had revelations to date, and it has been calculated that there have been 40,000 so far. In my opinion, this is not an important obstacle. And when I talked to the seers, it struck me that they were very balanced people. I saw four of them. These are the ladies, who during the first apparitions in 1981 were teenagers and today have grandchildren. They all started a family. In any case, the narrative of family in these apparitions is very strong. Some people complain that they have not become priests or nuns, such as Lucia Santos. But the world has changed since then, and a religious order is not the only way to achieve a Christian vocation. These people live in the world and have gone the way of the sacrament of marriage. Very good, because they can show the beauty of family life, which in today’s world is very threatened. Medjugorje is on the one hand – as the archbishop emphasizes – a very spiritually fruitful place, with a good atmosphere of focus and adoration, where doctrinal errors or other deviations can not be identified. On the other hand, we have very difficult relations with the bishop of the place, Ratko Peric. Is not that paradox? The position of Bishop Peric, which is negative, is known. Since the onset of the apparitions, we have another Ordinary. The first, whose ministry began during the first revelations, Bishop Pavel Žanić, who died in 2003, believed that this was a scam. The present is a continuation of this attitude. He claims that these revelations are not supernatural. Meanwhile, in the apparitions of Medjugorje, Our Lady does not propose anything other than what the Church appeals to in the Great Lent. And this is fasting, prayer, and alms. Medjugorje practices fasting on Wednesday and Friday (bread and water), constant prayer is being held, and as far as alms, numerous social works have arisen here. There is also a weekly “bread and water” retreat. Its participants get bread and water three times a day. The bread is eaten very slowly, the meal lasts about an hour. They keep the bread in their mouths long enough to remember its taste. And how does Bishop Peric refer to the pastoral fruits, do they not persuade him? This is analogous to some other Marian apparitions, such as those from L’Île-Bouchard, France in 1947. They were not recognized, but were also worshiped. Marian devotion does not have to exist in conjunction with the apparitions. And even more so, this devotion is understood in Medjugorje, where Our Lady presents herself as the Queen of Peace. It’s nothing new or disturbing. This is one of the calls from Loretto. There are lots of parishes around the world under this call. A famous Polish artist, Mariusz Drapikowski, creates altars for the sanctuaries of Our Lady of Peace in Bethlehem, Kazakhstan, Jamusukro, Kibeho. And if we look at the sanctuary in Kibeho, the analogy with Medjugorje is clear. At first, the local Bishop, J.B. Gahamanyi, allowed people to worship there, and then he continued to study the truth of the apparitions. I am convinced that any bans on worship or arrivals to Medjugorje would not be justified. Therefore, at the Sunday Mass in Medjugorje, which I celebrated for the faithful, I said that this devotion must be developed. There are no doctrinal or canonical obstacles to worship the Mother of God anywhere in the world. And is it possible to recognize the truthfulness of these apparitions by the Apostolic See, if the bishop of the place considers them untrue? It is possible. 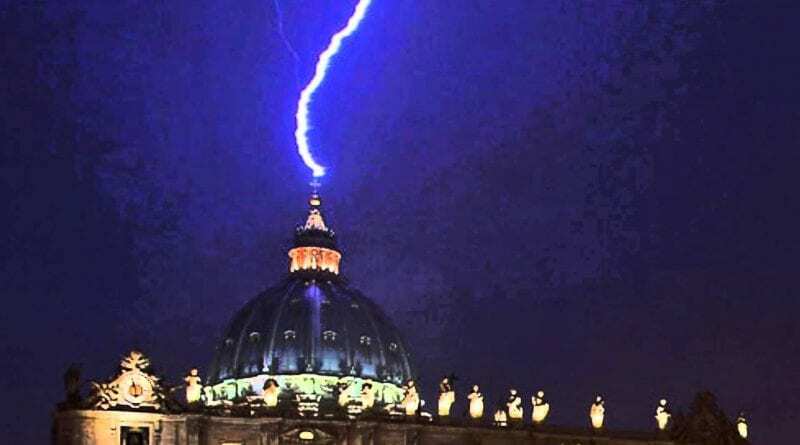 I heard that the Vatican committee, which worked under Cardinal Camillo Ruini, has ruled that the first seven apparitions are true, though not officially published. Later on [regarding the subsequent apparitions], the commission did not speak out, because she came away with the assumption that you have to see what their effects will be. There have been allegations that the revelations in Medjugorje are too numerous, that is to say, that Our Lady is too talkative? You can note St. Faustina, who spoke to Jesus every day for many years. This should not be a major obstacle. Of course, you need to be sensitive to every aspect, also the possibility of mental disorders and be careful about the attitude of “superstition.” However, the visionaries were thoroughly examined by a team of eminent specialists, psychiatrists, and psychologists. No pathology was found. It was healthy young people from healthy families. To this day, they all live in marriages and no one has broken up. None of the seers has passed through the crisis of faith. Jakov Čolo, the youngest of them, who was at the age of ten, is very much developing the spirituality of Medjugorje. He runs “Hands of Mary,” a kind of charity because the Mother of God told him that we should be “Her hands” to the poor and needy. Or is the reason for the bishop’s past historical, since the whole of the Balkans was once Franciscan, which generated conflicts with the hierarchy? It was a difficult phase when the Franciscans had to give up their diocesan parishes. People disagreed because the Franciscans had been there for centuries and had survived [shepherded them through] the most difficult times. There are five parishes in Bosnia for which the diocese is in dispute with the Franciscans. But today the prevailing attitude of dialogue and conversations between bishops and Franciscans is under way. What conclusions does the Archbishop have in his report to the Holy See, or will this break the secret? I can only say that the conclusions are positive. In fact, the Holy Father, already on the plane returning from Fatima, spoke about Medjugorje, and now sent Card. Simoni [Ernest Simoni Troshani] from Albania and asked him to preach a good word there. I think everything is going in the right direction. My mission was not to close Medjugorje, but to evaluate whether the pastoral ministry was proper, consistent with the doctrine and teaching of the Church, effective and well organized. I conclude that this is the case. On the pastoral side, my assessment is very positive. Thus, the ongoing pastoral activities, liturgical order, and conferences should continue. And does the Archbishop propose some improvements, reforms? There is much to do in the sphere of infrastructure – legal and administrative. There must be, for example, a common spatial plan because everything that is there is built a bit chaotically. For security, the whole area should be fenced because it is the gateway, but there is no fence in the back, though there is a uniform wall that eliminates those who come for purposes other than pious. And after the report of the Archbishop, is it possible to change the position regarding the organization of pilgrimages by the Church, which is currently prohibited? Anyway, this movement will not stop and should not be stopped, because good fruit grows out of it. It is one of the most alive places of prayer and conversion in Europe – with a healthy spirituality. Can the Archbishop’s report contribute to the recognition of the apparitions? Not directly because it is something else. All indications are that the revelations will be recognized, perhaps even this year. Let us not forget that the Congregation for the Doctrine of the Faith has provided all documentation concerning the apparitions to the State Secretariat, which is now working on it. Specifically, I think it is possible to recognize the authenticity of the first apparitions as proposed by the Cardinal Ruini’s commission. Besides, it is difficult to get another verdict because it is difficult to believe that six seers will lie for 36 years. What they say is consistent. None of them are possessed or mentally disturbed. The powerful argument for the authenticity of the apparitions is faithfulness to the doctrine of the Church. If the revelations, and at least the first seven, will be recognized, this will be a tremendous stimulus for Medjugorje. Would your Archbishop’s diocese recommend a trip to Medjugorje? Of course. I would say that it is a pilgrimage of spiritual transformation, conversion, and confirmation of faith – because all these elements are realized there. ← Quagmire: The Name “Columbia” as in District of Columbia is Symbol for USA’s Racist Manifest Destiny Policies. Columbia – the “White Goddess” – Stands Atop the US Capitol Representing the Ethnic Cleansing of American Indians – So many statues – so little time. Rare Warnings from Jesus Accepted by Catholic Church as “Worthy of Belief. The messages from Jesus are particularly fascinating as He implores the world to understand that man’s salvation is at risk. Salvation is at risk even for Christians and Protestants who reject the the Immaculate heart of His mother. Jesus says “My Mother must be received” Whoever rejects My Mother, rejects Me.” “Souls will find Me through Her Immaculate Heart.” When the Blessed Mother came she was dressed in blue, had Baby Jesus in her arms, and a rosary in the hand.